Last summer, my wife Heidi and I had a very nice holiday on the island of Kalymnos, in Greece. We were based at Massouri, which is a cozy little village with a wonderful beach, friendly local people and great Greek food. The place is also famous for rock climbing. In this upcoming series of posts we will write about our favourite places in Kalymnos. One of them is a snack bar Sunrise at Massouri. This restaurant became one of the few restaurants that we started to visit regularly. We would like to give a special thank you to the staff, especially the two brothers, who run the restaurant. From the very first moment they welcomed us warmly. 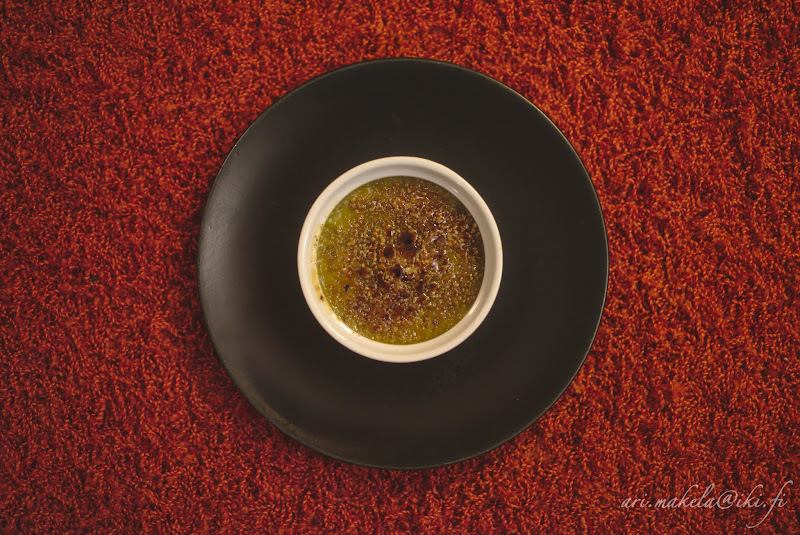 In addition to the friendly staff, Sunrise offers good food, cold beer and desserts. We also started to learn Greek while visiting this place. Soon we promised to ourselves we would learn one new phrase every day during our holiday. 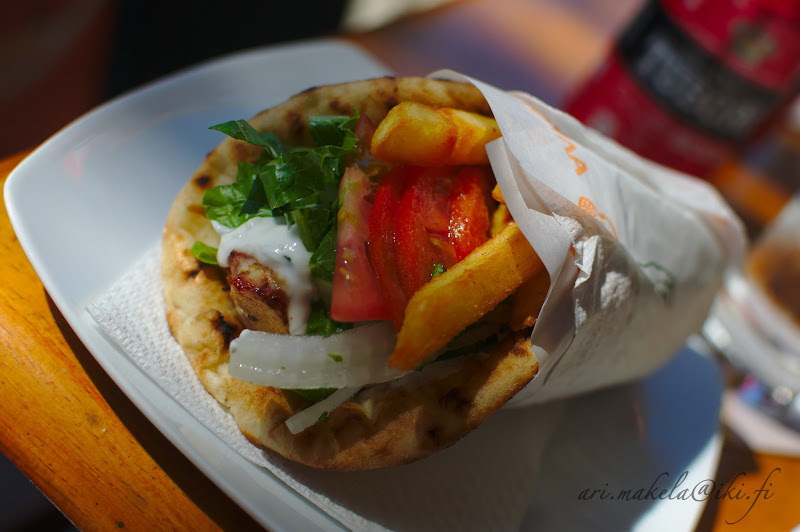 Sunrise prepares especially tasty gyros and souvlakis in a variety of ways. Great quality with an affordable price. A perfect place to have a pint, a hearty lunch or a relaxed dinner. Also, Sunrise has screens and shows either football or music, depending of the day. Those are a few things Sunrise is a cool place for. 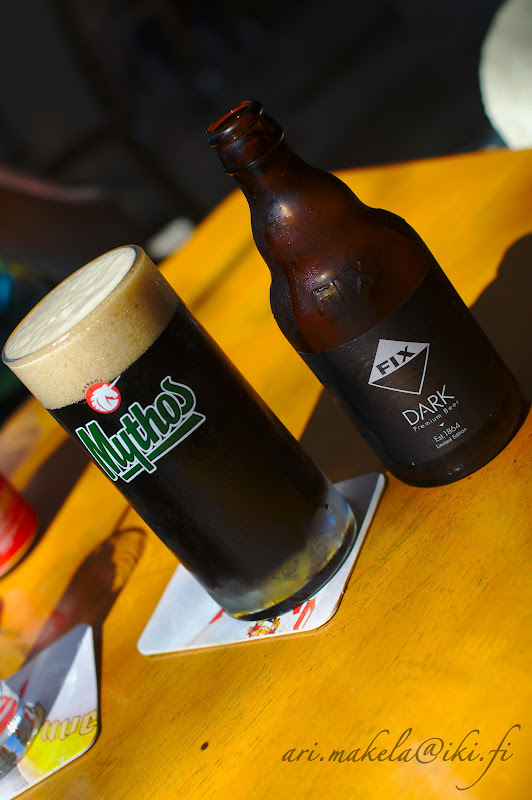 Dark Fix is perfect for relaxing during the hot, Greek days. We must thank the owner of Sunrise for this excellent tip! We highly recommend to visit Sunrise on your very first day in Massouri, as you will very like want to come here again and again. 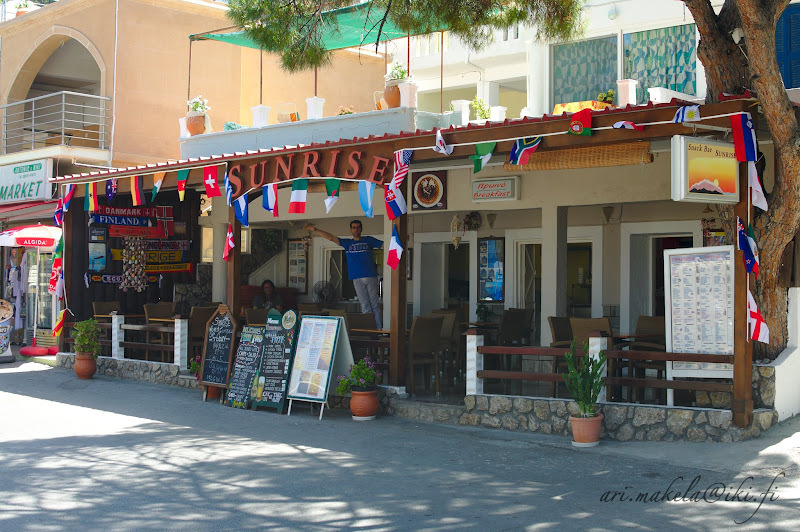 We cannot wait to visit Sunrise again during our next Kalymnos trip, which will take place in the summer of 2016.